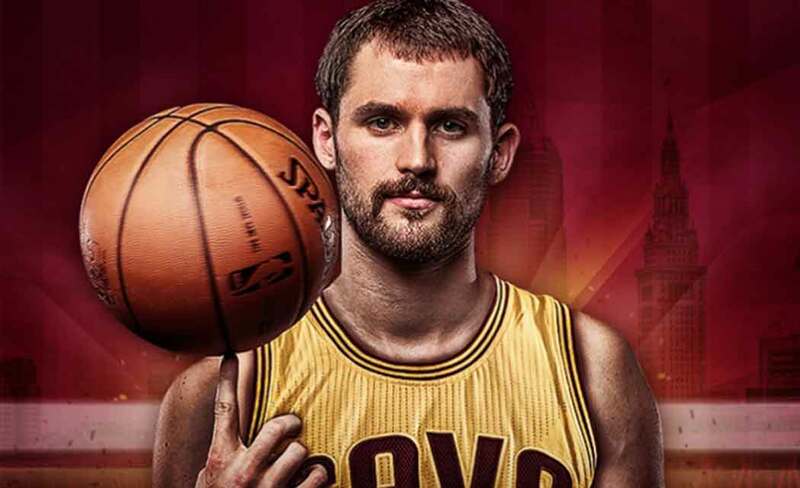 INDEPENDENCE, Ohio (AP) _ The pain in Kevin Love’s surgically repaired left shoulder has become manageable. The Cleveland forward is now dealing with a different ache _ the sting of sitting and watching the NBA Finals. Knocked from his first playoffs in the opening round by injury, Love spoke Sunday for the first time since undergoing an operation to repair the extensive damage caused when Boston’s Kelly Olynyk pulled on his arm and yanked it from the socket. Love is pleased with the progress of his recovery and he intends to be ready for the start of next season. In Cleveland. Not New York, Los Angeles or anywhere else. Love can opt out of the one year remaining on his contract by June 30 and either negotiate for a new deal with the Cavs or test the market as an unrestricted free agent. And has been the case all season, the three-time All-Star, whose future has been the subject of speculation almost since the day he was traded to the Cavaliers, indicated he has no plans to leave. “I expect to be suiting up by Game 1 of next year,” he said. Noticeably thinner after losing 15 pounds during his recovery, Love said not being on the floor with his teammates has been emotionally difficult. After six seasons in Minnesota, he was finally in the playoffs and appearing to hit his stride after a season in which his role transformed, when Olynyk’s aggressive play ended Love’s season in Game 4. Following that game, Love said he felt Olynyk, who was suspended for the first game next season, had tried to intentionally hurt him. He feels differently now. He’s had no choice. After the Cavs swept the Celtics, they advanced without Love and not missed a beat. Cleveland eliminated Chicago in six games and rolled over Atlanta in four to make the finals for the first time since 2007. Love’s role has been as a spectator, watching from the bench during home games and on TV when Cleveland hit the road. It’s been hard and humbling. Love has been cleared to travel for the finals and will be with his teammates for Games 1 and 2 at Golden State, where the Cavs will have to take on the league’s best team and their rowdy fans. “I can’t necessarily clap, but I can scream,” he said, smiling. Love’s been touched by the outpouring of support he’s gotten from Cleveland fans, who have given him loud ovations whenever he’s been shown on the giant scoreboard during games. He’s been relegated to the row behind the Cavs bench so not to expose the shoulder to any possible contact. However, during the Cavs’ on-court celebration after sweeping the Hawks, one of Love’s teammates nearly undid all his rehab. NOTES: Cavs coach David Blatt said G Kyrie Irving took part in “most parts” of practice. Irving sat out two games in the Eastern Conference finals with left knee tendinitis. … Blatt received a congratulatory phone call last week in making the finals from Israeli Prime Minister Benjamin Netanyahu. “He said all of Israel is behind the Cavaliers,” Blatt said. “That was great.” Blatt coached in Israel before joining the Cavs and his family still lives there.